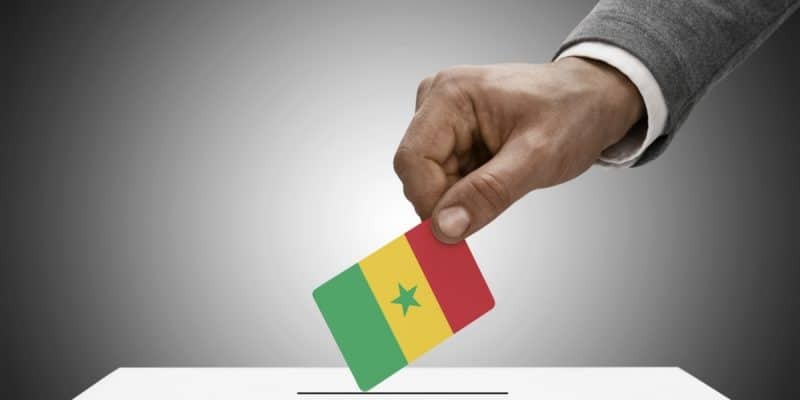 The five candidates for the Senegalese presidential elections on February 24, 2019 will have to place environmental issues at the forefront of their campaign promises. It is in any case the wish expressed by Ndougouman. The Association for the Defence, Protection and Ecological Safeguarding of the Ndoungouman site and its surroundings has launched an awareness campaign to raise awareness of the potential future presidents of the Republic. The Ndougoumaan association is focusing on the construction site of the port of Ndayane-Yenne, located 45 minutes from the capital Dakar, to draw the attention of potential future presidents of Senegal to the issues and challenges of environmental protection. The five candidates for the presidential elections of February 24, 2019 are invited to a guided tour of the construction site of the port which focuses the controversy. This project will require a surface area of 1800 hectares, involving the disappearance of many existing structures, including the Hotel Fleur de Lys and the African dance school Écoles des Sables. In the eyes of the Association for the Defence, Protection and Ecological Safeguarding of the Ndoungouman Site and its surroundings, this is also a disastrous disproportion. For the association that campaigns for the protection of the environment in Senegal, however, this project is above all synonymous with the destruction of the coast and its fishing grounds, the expropriation of populations without any guarantee of local job creation, and the pollution of a rare ecosystem with multiple tourists and agricultural potential. In April 2018, the association had already called on the population to refuse this project. From now on, it will directly question the presidential candidates of February 24, 2019. In the list of environmental requirements addressed to those who aspire to lead Senegal, the Ndoungouman association refers to the defence and protection of ecological sites throughout the national territory. On this subject, it seems that Senegal has become the scene of a real ecological crisis, the causes of which are difficult to establish and determine. However, it is well known that human activity is the first explanation. The country’s strong population growth has decreased by 4 times its biocapacity in 50 years, from 1961 to 2011. Pollution (air, water, sites) is significant. Waste management is still in its infancy, and open fire discharges or incineration (at low temperatures, with toxic pollutant emissions) are still too numerous. In this context, associations and foundations should take action to meet the challenge of managing natural resources and the environment. For the latter, it is essential to establish fruitful contact with all the actors whose mission is to work to improve the daily lives of the populations. Thus, the Ndoungouman association announces that its various mobilisations have already made it possible to open a local and even national debate on environmental emergencies. However, it notes that this is a battle whose outcome is still uncertain. The association expresses financial needs, in order to continue the fight, through the sensitisation of local actors on the ground, the promotion of its actions and attract the attention of national and international influencers who could serve its cause.